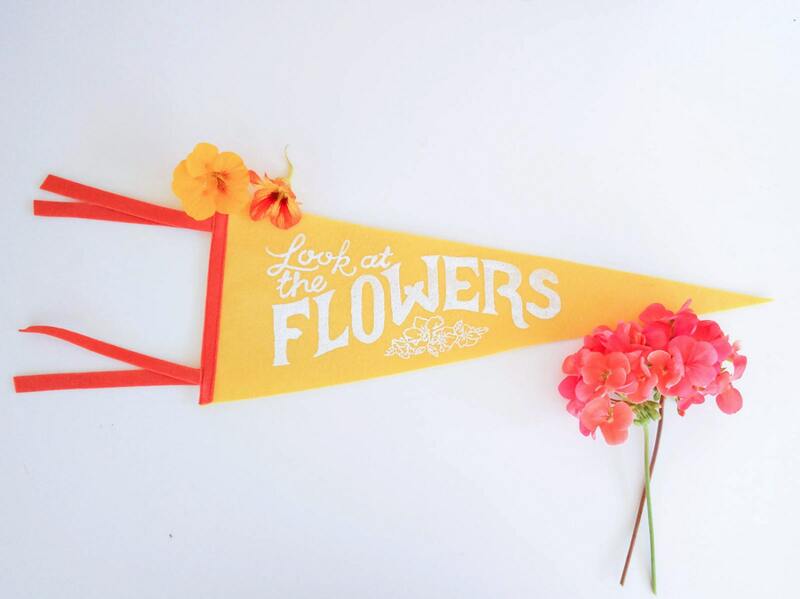 Brighten your walls with a retro-inspired wool felt pennant celebrating spring! 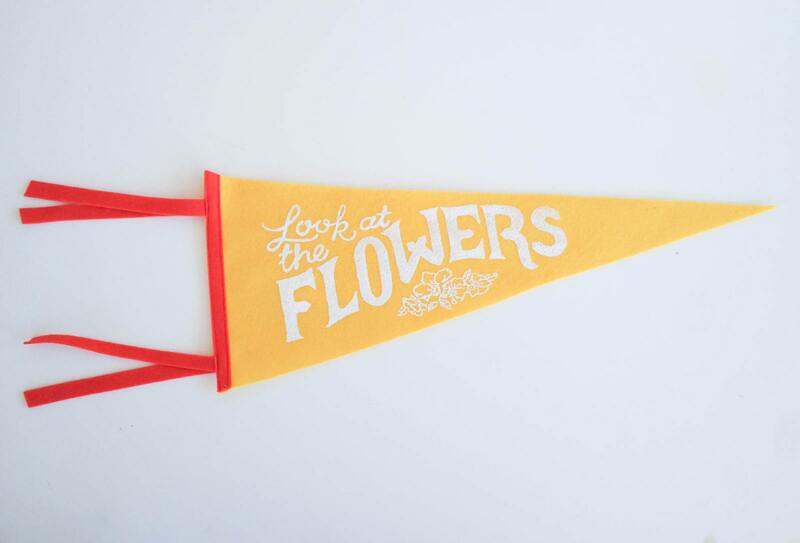 A fun and modern interpretation of kitschy souvenir flags and school banners, this pennant is silk screened in-house using water based inks on 100% wool felt. The design is based on a hand-drawn illustration, featuring graphic lettering and Cherokee roses (Georgia's state flower). Each pennant measures 7" x 18" (not including ties). Due to the nature of the screen printing process, some slight variations in the printed graphic may occur -- no flaws, just evidence of a handmade piece of art! I love this so much. It's perfect. Thank you.